Quality carpet cleaning in Fort Collins is easy to come back if you use our services here at Comfort Carpet Clean. Over the years, we have been establishing an amazing reputation for not only a quality service, but leaving our customers happy with their carpets once we have finished our work. 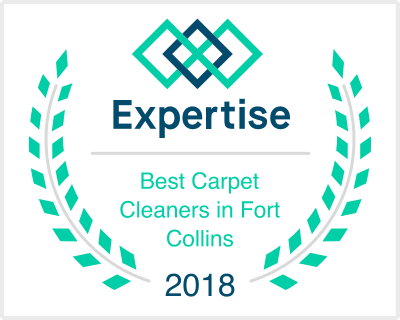 As one of the top rated carpet cleaners Fort Collins has to offer, we take pride in not only reaching that accolade, but also keeping ourselves up there with everybody else. That means we take each customer on an individual basis and treat everybody the same no matter how big or small the job may be. Our technicians are not only fully versed on how to deal with all of those rather annoying and stubborn stains that just never seem to go away. They are also fully up to date on the industrial rated equipment that we have at our disposal that will ultimately have a positive impact on the end result that we are able to achieve. Our knowledge on those stains is also such that we can quickly identify the best approach to take which always leads to us being able to make a significant difference in their appearance. We make sure that carpets look pristine, as if you were to buy a new home. For us, our service is all about bringing your carpet back to life. We understand that you may very well be tempted into replacing it entirely, but that in itself is a costly business especially when there is often no need to do so. After all, thanks to our ability, your carpet may very well end up looking as if it is in showroom condition and at a fraction of the cost of replacing it, then it makes so much sense from an economical point of view. Our Fort Collins home carpet services are available for any customer in the Fort Collins area no matter if you require a single room or the entire home to be cleaned. In addition, we are available for steam cleaning your carpets as well if this would be your preference, and as with other approaches our technicians are fully versed in how to get the best out of your carpets. Prior to us starting work, you will be made fully aware of the costs that are involved, and there is also no need to stress about things as we are a company that is also fully insured. Of course, there is always the possibility of something going wrong, but we are confident in our skills and approach to ultimately reduce the chances of that happening. So, if you live in the Fort Collins area and are actively looking to have new life put back into your carpets or those stubborn stains to be removed, then give us a call here at Comfort Carpet Clean. You can also book an appointment via our website and we will be happy to answer any questions that you may have regarding our services.